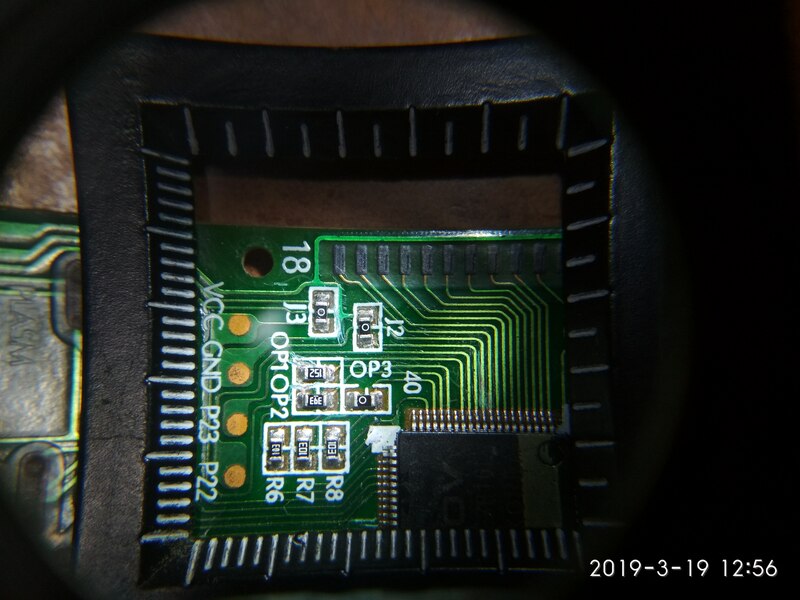 I need help identifying an SMD component it is a small(1 mm X 1.5 mm) black part with an "O" written on top if it. I think it is a Schottky diode for reverse polarity protection ?. The component in question is marked J2/J3 on the silk screen. Also, if it helps the image is of a remote control pcb. These are 0603 zero-ohm resistors - the "O" is actually a "0". Basically it is a solder jumper or jumper wire but in a machine assembly friendly package. On single-layer boards these are often used to assist routing and jump over traces. This appears to be the case for J2 and J3. They are also frequently used for changing configuration pins. You typically have two resistor footprints, one to VCC and one to GND. On this you can place a zero-ohm resistor on either footprint to pull the configuration pin low or high. This is sometimes known as "strapping" and appears to be what OP3 is used for. Very unlikely. A diode should have a different package, and a diode would usually have its cathode terminal marked. You have a 0 Ohm resistor here, the label "J" may be because it's used as a jumper (see Peter Karlsen's comment). the size 1mm * 1.5mm indicates that it is 0603 SMD package. Not the answer you're looking for? Browse other questions tagged identification surface-mount infrared remote-control or ask your own question.